When the Lewis’ called and asked Lyons to meet to discuss renovations to the back yard, they weren’t sure what could be done. They had drainage issues, no patio, and wood steps that were barely suitable for use. All that Mr. Lewis wanted for sure was a 10’x10’ shed pad on the side. But Mrs. Lewis wanted something special. 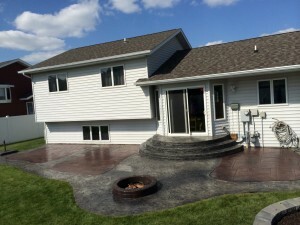 They designed a fantastic patio, complete with concrete steps from the sliding glass door, and an all concrete fire pit. But mostly, they wanted to make sure that there was a large enough area to comfortably turn around and close the door, while carrying a full tray of steaks to the grill without falling down the steps! This made for a large, beautiful circular step with a 4’ top. 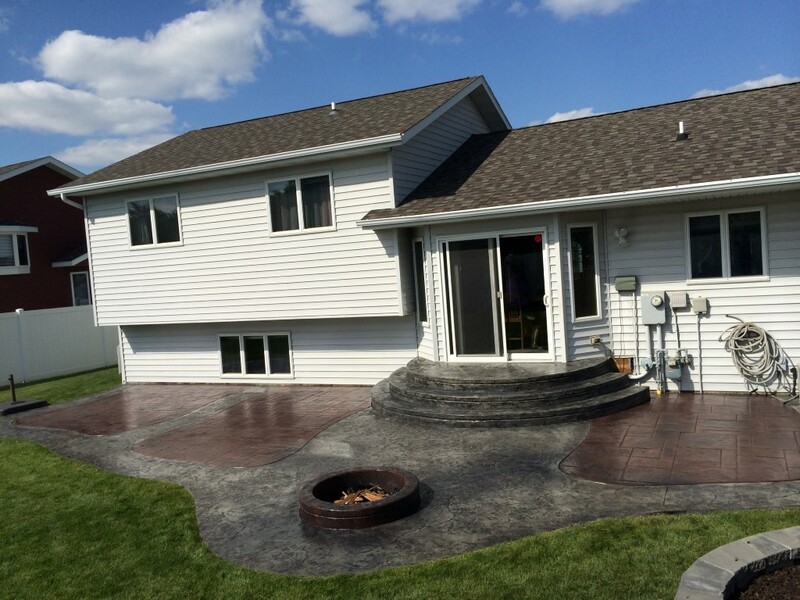 The landing, steps, fire pit, and border are gray ready mixed concrete that are finished with Proline Midnight Gray Antiquing release and stamped with a Rough Stone Seamless Texture stamp. 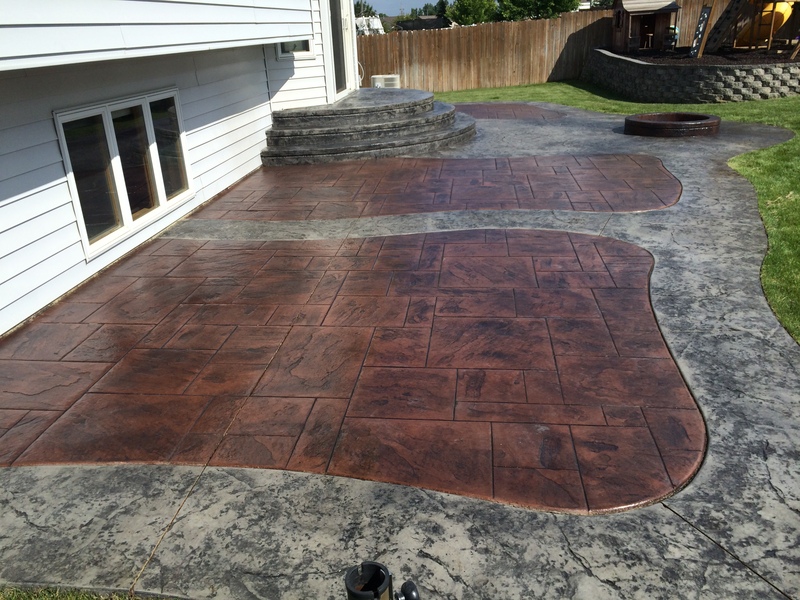 The main patio area is colored with Proline Pueblo Color Hardener and Midnight Gray Antiquing release, and stamped with a Proline York Stone stamp. Mr. Lewis even got his shed pad too!